Three more playable characters have been announced for Jump Force, the anime fighter ripe with crossovers, as revealed by the latest issue of V-Jump. You can now expect to fight as Boa Hancock from One Piece, Trunks from Dragon Ball, and Renji Abarai from Bleach when Jump Force launches on February 15, 2019 for the PlayStation 4, Xbox One, and PC. With a little under two months until the game’s release, there’s still plenty of time for new reveals. On December 17, 2018, we learned that the game will feature a stage from One Piece. And just last week, we got word that Asta from Black Clover would join the fight. With each new character reveal, Bandai Namco digs its heels further into some of the most beloved franchises to date. 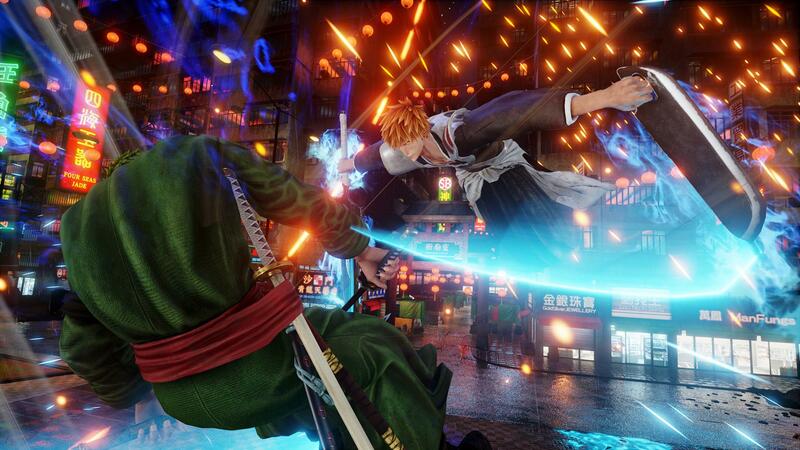 In a fighting game like Jump Force, who is there becomes just as important as how the game controls. And with a seemingly ever-expanding roster, the game has the former locked down. If you’re eager to go hands-on with this fighting game consider preordering it for three days of early access. Of all the characters currently confirmed for the game which one are you most excited to play as? Also, is there anyone who is still absent that you feel needs to be present in Jump Force? Which series needs to have a playable character join this cast? Rave about your fandom in the comments below.